By activating/signing up to the Service, you acknowledge that you have read and understood, and you agree, to the terms and conditions of this Agreement, and you represent that you are of legal age to enter this Agreement and become bound by its terms. 1.2 Nteract/Maxtel: a brand name of the service provider. 1.3 The buyer: the user of the services provided by the service provider. 1.4 The agreement/the service: the obligation between the service provider and the buyer, under which the service provider enables the buyer to make international calls and/or send text messages internationally, by making available a download application for Voice over IP programs and/or call time. 1.6 The parties: the service provider and the buyer, jointly. 1.7 The General T& C: The general Terms and Conditions. 2.2 Derogation from the general T& C is not possible. 2.3 In the event that a provision from these terms and condition turns out to be void, the parties shall determine a new provision which resembles the intention of the original provision as closely as legally possible. 2.4 The applicability of any other general T& C is explicitly excluded. 2.5 The general T& C can be unilaterally changed by the service provider. The changes take effect 7 days after the announcement on the service provider’s website. 3.1 The service provider emphasizes that there are countries where the agreement is not permitted (in full) or where age and power of disposition are important. If the legislation of the country where the buyer is located is incompatible with the conclusion of the agreement, the buyer is not permitted to conclude the agreement. By entering into this agreement, the buyer explicitly declares to be authorized to do so and that this is legally permitted. 3.2 The service provider makes call time and the required download softphone application available on the Internet. 3.3 The proposal contains a complete and accurate description of the services on offer. This description must be sufficiently detailed so as to enable the buyer to make a fair assessment of the proposal. Each proposal contains such information that it is clear to the buyer what his rights and obligations are in connection with accepting the proposal. 3.4 The buyer accepts the proposal and the applicability of the general T& C by purchasing call time and/or downloading the required download softphone application via the Internet. 3.5 The service provider is entitled to refuse an agreement and to block or terminate (access to) the call time and download application for certain buyers. 3.6 The download softphone application can be downloaded free of charge. The download softphone application is and shall remain the property of the service provider. The service provider is at all times entitled to update, upgrade, modify and/or improve the download application. 3.7 The service provider is at all times entitled to deactivate the download softphone application. 3.8 The buyer is not permitted to copy or change the download softphone application without the written permission from the service provider. 3.9 The buyer is not permitted to sell the download softphone application to third parties. 4.1 The buyer, not acting in the course of a profession or running of a business, is for a period of seven working days counting from conclusion of the agreement not entitled to dissolve the agreement, as the service commences with immediate effect, i.e. when the download application is downloaded and/or the call time is obtained. 5.1 The call time purchase rates can be found on the service provider's website. 5.2 The buyer purchases call time via the Internet, where payment is made by means of a recognized payment method such as Ideal, Visa card and MasterCard through our authorized payment gateways. 5.3 The day of payment is the day of receipt by the service provider. 5.4 After the day of payment referred in above, the client can start using the services. 5.5 The rates can be found in the rates on service provider website. 5.6 User rates are deducted from the call time and this can be monitored on Softphone Application. If the user has nearly run out of call time, it should be recharged through website before making any international call to avoid any disconnection. 5.7 The service provider is at all times entitled to change the rates. These changes shall be announced in the rates information on provider’s website. 5.8 The buyer can check his call history and cost overview on the website. 5.9 The download application and the corresponding intellectual property rights are exclusively owned by the service provider. The buyer is not permitted to infringe those rights. 6.1 The buyer must notify the service provide in writing within seven (7) days after receiving your credit card statement if you dispute any service provider charges on that statement or such dispute will be deemed waived. Billing disputes should be sent to the billing@maxtel.us and the buyer must notify us in writing of any disputed charges within sixty (60) days of the charges or you will have waived your right to dispute the charges. 6.2 All sales by Maxtel Holdings are final, there will be no refunds. 7.1 Telecommunications services operate on the distribution of radio signals, which means that the quality of the connection cannot be guaranteed at all times and in all locations. This is linked to the (computer) equipment used, the radio coverage of the network and atmospheric conditions. The service provider cannot guarantee the establishment and/or maintenance and/or quality of the connection and is not responsible for it. 7.2 A non-established connection, disconnection or a low-quality connection do not constitute a reason for a refund of the costs and rates payable. 7.3 Loss of Service Due to Power Failure or Internet Service Outage. The buyer accepts understands that the Service will not function in the event of power failure. The buyer also acknowledge and understand that the Service requires a fully functional broadband internet connection and that, accordingly, in the event of an outage of, or termination of service with or by, your Internet service provider ("ISP"), the Service will not function, but that you will continue to be billed for the Service unless and until you or provider terminate the Service in accordance with this Agreement. Should there be an interruption in the power supply or broadband outage, the Service will not function at all until power and service is fully restored. A power failure or disruption may require the End User to reset or reconfigure the hardware (Computer and Gateway) prior to utilizing the Service. 8.1 The use of the download softphone application for Voice over IP programs is at the risk and expense of the buyer. 8.2 The buyer is personally responsible for the loss, theft or misuse of the download application for Voice over IP programs, software client and calls time. 8.3 The successful installation of the download softphone application depends on the buyer’s computer equipment and Internet connection. The service provider is not responsible or liable for an unsuccessful installation of the download application. 8.4 The service provider is not liable for any direct or indirect damage or losses as a result of the purchase and/or use of call time and/or installation and/or use of the download softphone application, including among other things consequential damage, loss of turnover and profits, loss of data and immaterial damage (including infringements on privacy). 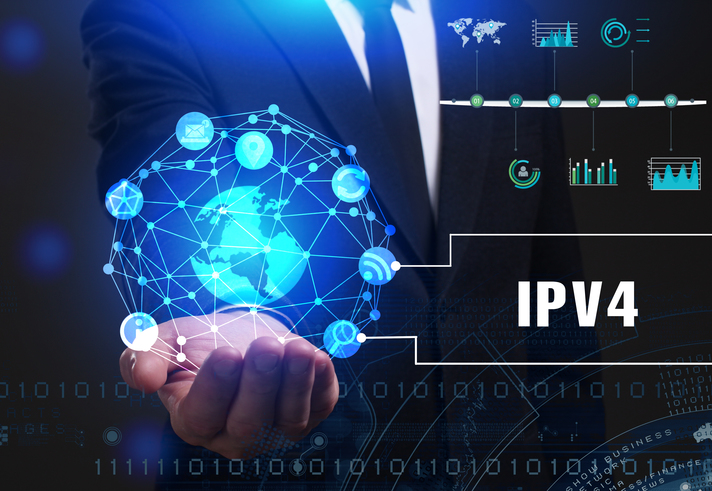 8.5 The service provider emphasizes that it is not responsible for the content obtained or distributed (and originating from third parties) via the Voice over IP programs and that it has no obligation to check that content. The service provider cannot be held liable for this. 8.6 More specifically, the download application for Voice over IP programs is not suitable for calling emergency services such as the police, fire brigade or ambulance service. Within that framework, any form of liability of the service provider is excluded. 8.7 In the event that liability is nevertheless established, it shall always be limited to the amount of the call time in question, and also to the amount paid out by the insurer in such cases. 9.1 Information on the buyer is collected in order to be able to perform the agreement or agreements and to ensure the relevant payments are made. This information may comprise personal details, bank (card) details, credit card details, etc. 9.2 The buyer grants the permission to service provider to collect this information and to exchange this with third parties if so required within the framework of the agreement or on the basis of compelling and urgent reasons. 10.1 The agreements referred to the user of the services provided by the service provider are governed solely by the laws of the United States. 11.1 Maxtel has created this Acceptable Use Policy (AUP) for customers to protect our resources, and the resources of our customers in order to provide high availability services. This AUP must be read in conjunction with our T&C. It is responsibility of Maxtel customers to ensure that they comply with the latest edition of the AUP at any given time.